It’s been six days and the partial government shutdown is in effect. Hundreds of thousands of federal employees are affected, with some possibly receiving backpay. October 1, 2013 marks the opening of the healthcare exchanges that are going to change the way the middle class purchases health insurance in America, and your patient’s attitude towards the skilled care that you offer. So what’s Obamacare all about? The Affordable Health Care Act, also known as Obamacare, is an ambitious attempt to establish a one-size-fits-all healthcare system. It’s packed with the right intentions, and it has tremendous potential to do good for the uninsured in America. It also has the potential to overwhelm a medical system that’s already strained to the limit. The objective is that at least half the nation’s nearly 50 million uninsured people should get some form of insurance coverage through the Affordable Care Act. This is achieved with the introduction of the new healthcare exchanges (which includes subsidized private healthcare plans), slated to be available online starting today, October 1, 2013. In some states, a version of Medicaid for low-income adults is also going to be an option (more about that shortly). People who get insurance coverage through their employers will also see changes. Starting Jan. 1, it is going to be the legal responsibility of almost all Americans to carry health insurance or face fines. These fines will become larger as time goes by. Passing up the company medical plan in exchange for a bigger paycheck may no longer be an option. On the other hand, employees who lose their jobs, entrepreneurs starting their own businesses and people in between school and work could have an easier time getting coverage. Also as of Jan. 1, a pre-existing medical condition will no longer be a barrier to getting health insurance. Yes, this sounds good, but when you take a closer look at the numbers (copays and deductibles) and benefits, there are a lot of things for a patient to consider. How is Obamacare going to be implemented across the nation? For starters, the provisions of this act suggest the appointment of a panel of individuals who will establish guidelines and make decisions about which treatments are necessary, with an eye on savings that has the potential to lower costs and benefit patients. Will this work out the way we all want – lower costs and improved quality of care? That remains to be seen. The Act penalizes those with no insurance, and attempts to increase access to care for millions of Americans. Some of the likely effects of Obamacare include higher premiums, co-pays and deductibles. In some instances, co-pays have doubles while the policy offers fewer services. It’s up to the individual patient to shop around, compare benefits and make the right decision, based on available choices. With some plans, imited physician, specialist and pharmacy options are designed solely to cut costs for insurance companies, with a negative impact on patient convenience and quality of care. The Act mandates all types of “free” preventative services and no one can be denied coverage due to a pre-existing condition. It allows parents to keep children on their policies until they turn 26. This is excellent for the uninsured in America. It also has a flip side. This has the potential to overwhelm the current healthcare system in the United States. In a thought provoking article on Obamacare on Foxnews.com, John Goodman from the National Policy Analysis in Dallas said it would take 7.5 hours of each doctor’s day to provide the free services mandated in Obamacare, leaving no time for paying patients. To make things even more challenging, Medicare reimbursements are already below the cost of care and continue to shrink. Many practitioners are refusing to treat Medicare patients, opting for early retirement, or selling their practices, further reducing patient access to care. This is not what Obamacare intended, but it is the reality that patients (and clinicians) are facing in the Obamacare economy. The Act imposes a 40 percent tax on healthcare plans beginning in 2018, based on the value of the policy. The tax will be collected through income tax returns. The tax applies to those with a “Cadillac” plan worth $10,200 for individuals and $27,500 for families. Those without insurance face penalties of up to $695 per person for a family of three, or $2,085 per household. Obamacare virtually guarantees that patients will choose the minimum amount of coverage as a means to avoid penalties and stay covered. Having said that, the financial impact of a catastrophic medical event cannot be avoided, especially with a restricted healthcare plan. 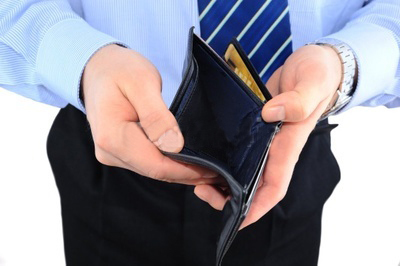 A major increase in bankruptcies is a very real possibility. Hospital payroll taxes will increase to 2.35 percent, taking an extra bite out of employees’ take home pay. Obamacare restricts the amount people can contribute to a flexible spending account (FSA) to pay for medical expenses at $2,500. New limitations are now placed on the medical products that can be purchased with FSA funds and increases penalties for buying those items to 20 percent. Employers with 50 or more workers must provide healthcare plans that provide specific services, but there’s no limit on what insurance companies can charge for those policies. 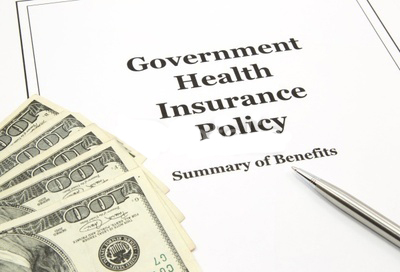 Employers are now looking at a potential increase in healthcare costs. Employers insist they can no longer afford to offer insurance. Delta Airlines estimates that one clause alone will cost the company $8 million dollars a year. Currently, it’s less expensive for employers to pay the government-enforced penalties than offer insurance. Their employees have no choice but to purchase federally approved policies from state healthcare exchanges, or they risk paying fines as individuals. The exchanges offer three levels of healthcare plans offered by multiple providers. If you enjoy insurance from your employer, exchange plans can be a double edged sword. They may or may not be more affordable than the healthcare plan you have right now. Even for those who qualify for an exchange plan, there’s no guarantee that they will qualify for a subsidy promised by the government to help pay premiums. Many Medicaid patients will be removed from state rolls and forced to purchase plans from health exchanges. According to an article in the Detroit Free Press, nearly three-fourths of the uninsured were unaware of the new insurance markets opening to serve them. The other arm of “Obamacare’s” coverage expansion — subsidized private insurance through the new markets — is mainly geared to uninsured people in the middle class. The administration is hoping to sign up 7 million the first year. Young, healthy adults are prime custom ers, since they’ll help offset the cost of caring for sicker people sure to sign up once insurers can no longer reject them. Nothing is free – there’s always a cost to someone. With Obamacare, it’s consumers and high income earners who will ultimately pay for healthcare. A likely outcome is higher costs, less access to practitioners, and increased wait times for appointments and in the office. The premise of Obamacare always has been to provide affordable healthcare to all while reducing costs, but it’s too early to tell the real impact. Patients are paying more, practitioners are receiving less and easy access to services is a thing of the past. It’s unlikely that’s going to change anytime soon. In fact, with the increased personal responsibility (and financial burden) on most Americans, there is a very real possibility that the future of healthcare will see an unprecedented return to the use of home remedies by patients. Patients will have more important bills to pay (gas, electric and now health insurance) and penalties to avoid. Does that mean that patients will choose to ‘stay home’ and try and heal themselves on their own, instead of paying a $40 copay and $1000 deductible towards physical therapy? It’s hard to tell, hopefully that won’t be the case. The real outcome remains to be seen. I’m going to be doing a presentation on “Obamacare and how you can prepare your practice to deal with it” in the upcoming Private Practice Retreat from October 11-13 in Las Vegas. Only a handful of tickets remain. If you want to attend, register here for the 2013 Private Practice Retreat in Las Vegas. Click here to register for the 2013 Private Practice Retreat. Learn more about the impact of Obamacare on private practice owners in Part One, and the action plan your practice needs to combat Obamacare in Part Three of this article series.